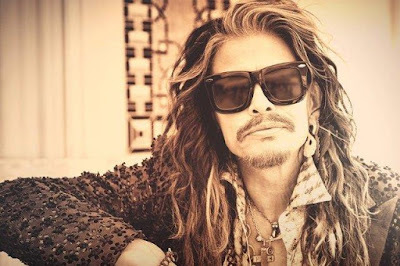 Aerosmith frontman Steven Tyler is sharing an update on plans for his debut solo album. The singer has been in Nashville since January working on the country-flavoured project, and issued the record’s lead single, “Love Is Your Name”, to radio in May. Now, Tyler tells ABC News Radio that he's hoping to release the record by "February or so" of 2016, and is planning to support it with a tour before heading out on an Aerosmith trek later in the year. "I don't even know who I'm producing it with," says Tyler. "It's gonna be what it is. There's a couple of songs I've written and they're like rock, and I said, 'Oh, geez.' And I'm not gonna put a banjo on it just to make it country…I don't know what it's gonna be, but my heart leans [towards] the country feeling and the vibe." “Country's not just about porches, dogs and kicking my boots up. It's a whole lot more, but it's about being real. You know, the world's gone so far away from that. I hope it comes back." Tyler will perform with country band Loving Mary at the inaugural Pilgrimage Music & Cultural Festival in Franklin, Tennessee later this month before appearing at a Unite To Face Addiction rally in Washington, DC on October 4.